So you want to make a feature film. You might have even heard that the biggest factor, bar none, for the distribution success of your movie is to cast name actors. But how do you do it? First, you need to know the four factors that weigh in a name actor’s decision to be in your movie. I’ve had people go into this process thinking that they can land anyone for a price and it’s just not true. I’ve had name actors turn down large amounts and I’ve had bigger name actors take a lot less. So money is not the only factor. And if you’re a first time director and you’re producing as well, you probably only have 1 out of 4 for the above. So you’re way behind. Sean Patrick Flanery and Dan Millican on the set of "A Promise Kept." Read the script in the eyes of the name actor. Sean Patrick Flanery told me once that he reads the scripts and sees a scene he’d like to do. Then another. And so on. They’ve got to *want* to do this script. If you can, bring on board an experienced producer. Even if it’s just as a co-producer. Every little bit will help the actor and his people feel more comfortable saying yes. Also another note for the first time director. It’s going to be next to impossible to land a name actor without landing another name actor. A name actor will feel more comfortable saying yes if she knows that there’s someone else in it as well. The key to this whole process… after having a killer script, is to hire a good LA or NYC casting director. Your best chance lies with the relationships built by this CD– so the CD really needs to be in LA or NYC. I’ve hired a LA CD to just handle two or three roles and hire a local CD for everything else. That’s okay to do. The Hollywood Creative Directory (hcdonline.com) will have contact info for casting directors. And it’s not as hard as you think. Unless you don’t have any money. Then it’s really hard. Expect to pay between $3,000 to $15,000 on low budget movies. That’s a big range because it covers asting one or several roles. Don’t expect to audition name actors for your low budget indie unless you’re an experienced filmmaker, having won audience awards at Sundance and Toronto. The process will be creating a list of name actors for the role, then sending an offer to the first one. If he passes, then sending offer to the next. And so on. I have gone 13 or 14 times out for a role, so give yourself some time. A juicy dark drama will offer you your best chance to land the name actor and the worst chance for distribution. Offers go out one at a time unless you’re in an emergency. On my first film “The Keyman,” we had a name actor lined up only to have him pull out a week before because a very sick child. So the CD sent out several offers, letting the managers know what we were doing. 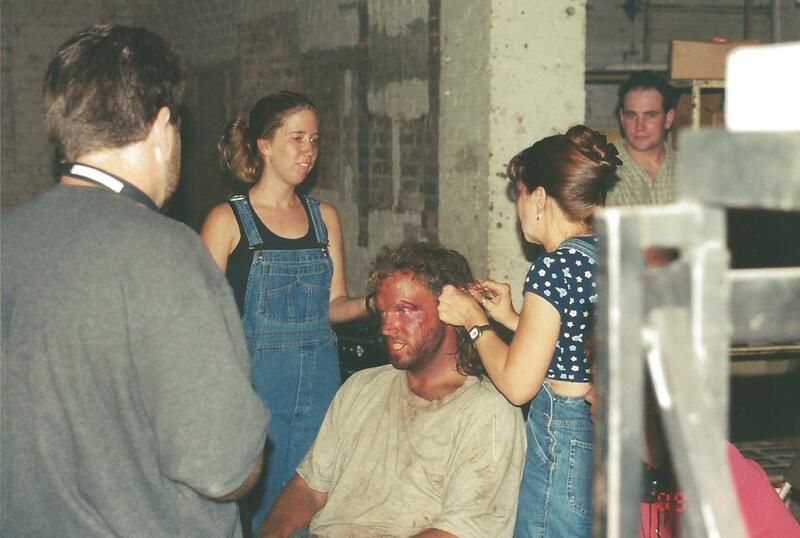 This is how we got the talented Adam Baldwin to play the lead. Give yourself some time to cast. You believe in your script and it will be offensive when word comes back that they just “didn’t respond to the material.” Don’t take it personally. That could mean what it says, but it could also mean that the manager didn’t like it and buried it, giving no chance for her client to say yes. It’s a no-no, but that doesn’t mean it doesn’t happen. My producer Jeff Rodgers and I were sitting at LAX when Elizabeth Perkins sat down next to us. She told us stories. One was about a role she found out had been offered to her, but turned down with her knowledge by her people. One A- name is worth two or three B+ names. But if all you can get is a B name, then get as many others as well. And finally, though it’s not politically correct, it’s accurate: a male name means more than the female name for distribution. For more information, check out the “Greenlight Yourself” DVD series. We cover this in depth there.